Give someone special an array of delights that combines red wine with premium chocolate—for a gourmet taste sensation. 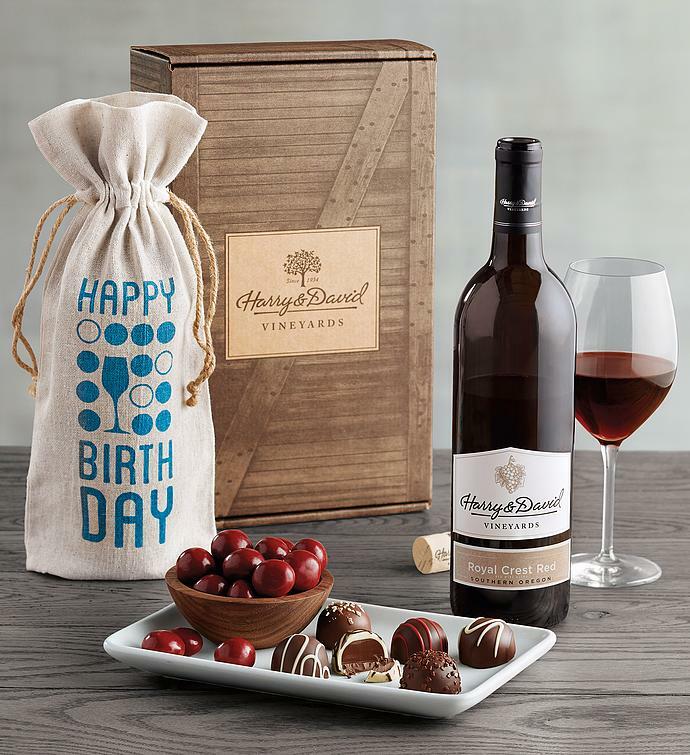 A bottle of our Royal Crest Red Blend wine made from Oregon grapes pairs beautifully with luscious chocolate cherries and truffles from our candy kitchen. We pack the wine in a reusable linen bag that proclaims the occasion.